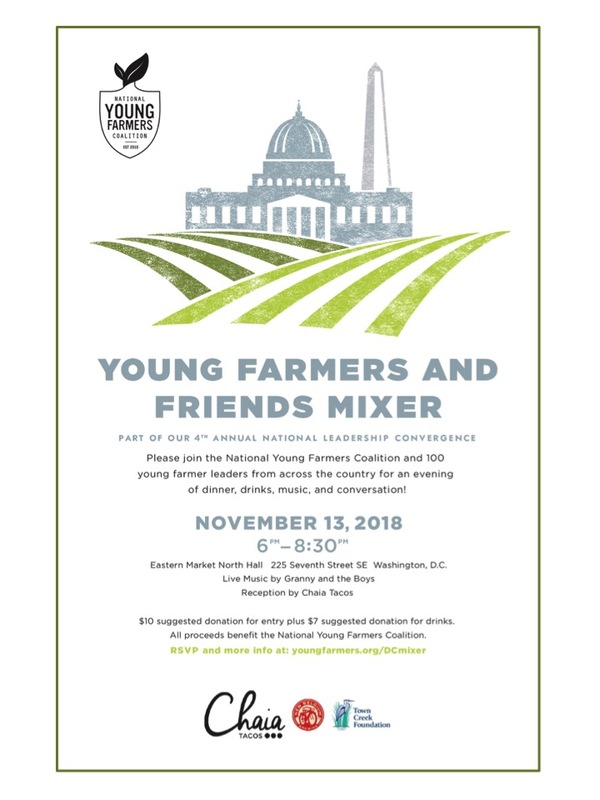 Please join the National Young Farmers Coalition for the Young Farmers and Friends Mixer – an evening of dinner, drinks, live music, and conversation to celebrate our young farmer leaders. One hundred young farmers from our 41 chapters across the country will be in town for our Fourth Annual National Leadership Convergence. The National Leadership Convergence is NYFC’s flagship annual event, bringing young farmer leaders together to learn key organizing and advocacy skills, tour local farms, hear from local and national food and farm leaders, and share their stories on Capitol Hill. We invite elected officials, agency representatives, partner organizations, and local farmers to join us for this celebration.